ARTISCAN ensures the compliance of the product to regulatory requirements for safety and performance for the interest of your patient. 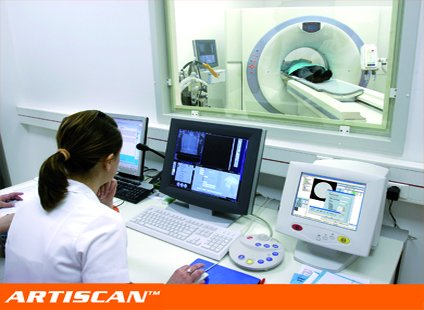 ARTISCAN software modules are designed for the quality assurance of all components of radiation oncology equipment. Automatic analysis of DICOM 3 and DICOM RT files provides accurate measurements and monitoring of key parameters as well as their follow-up. ARTISCAN NM modules are designed for the QA of devices used in nuclear medicine (SPECT, PET and hybrid devices). Automatic analysis of DICOM files provides efficient and reliable measurements of key parameters as well as their follow-up. ARTISCAN radiology modules are designed for the QA of all types of devices in radiology (CT, MRI, radiography). Automatic analysis of DICOM files provides efficient and reliable measurements of key parameters as well as their follow-up.